You are here: Home / Fresh Choice Nelson News / Help Nelson use 1 million fewer single-use plastic bags! Help Nelson use 1 million fewer single-use plastic bags! From June 11th we’re stepping up the fight against single-use plastic bags, and we need your help to ensure Nelson uses 1 million fewer each year! About 1.6 billion single-use plastic bags are used every year in New Zealand, and we don’t believe that charging for them is the answer to the environmental harm they cause, it doesn’t get rid of the problem… That bag will still be out there, forever, doing damage. We believe the only way to solve the problem and help get our beautiful planet back on track, is to ban the plastic bag entirely and that’s exactly what we’re going to do! 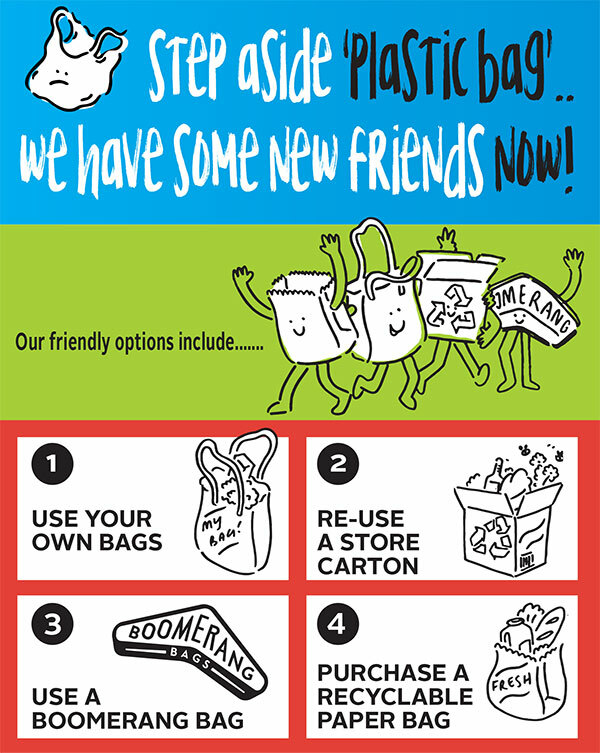 So join us in asking the single-use plastic bag to step aside and make some new environmentally friendly friends! 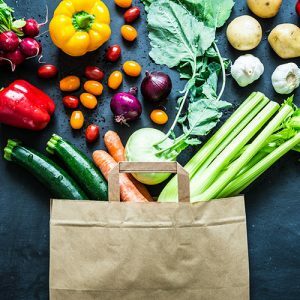 We know you’ve still got to pack your shopping, so we have four fantastic alternatives to single-use plastic bags when you shop at Fresh Choice Nelson. Reuse a cardboard box from the store. You will still find pre-packaged products in plastic that have come into the supermarket, and we will still be using some plastic with meat, but in every other part of our operation we’re replacing plastic with paper, you’ll find free paper bags available in our fruit and vege, bakery, seafood, and bulk food departments. So be part of the change and help Fresh Choice Nelson in the fight against single-use plastic bags!